Alexei Fernando Ramirez Rodriguez…he and his wife, Mildred, have five children, Alexei Jr., Alexia, Alexi, Alex and Alexander…posted a .332 (680-for-2048) average over seven seasons with Pinar del Rio in the Cuban League from 2001-07…named to four Cuban League All-Star teams…played in all 89 games four times…was a member of the Cuban National Team from 2004-07…played in 88 games with the Occidentales in the Cuban League…received a replacement gold medal from the 2004 Summer Olympics on 6/9/12 after the original medal was lost in 2007…the medal was presented by close friend and former teammate Jose Contreras on behalf of the White Sox…nickname of Pirineo (Little Kid) was given to him because he was always one of the youngest players in each of his youth baseball leagues. Played in 154 games in his eighth Major League season for the White Sox, his fewest games since playing 148 in 2009 after having played in 158 games every season from 2011-14....Made his eighth straight Opening Day start with the White Sox on 4/6 at KC…start was his seventh straight at shortstop (started in center field in 2008)....Hit .267 (78-for-292) at home and .283 (36-for-127) vs. left-handed pitching…hit .230 on the road and .239 vs. right-handers....Combined to hit .286 (83-for-290) from July through September after hitting .212 (59-for-278) from April through June....Ranked second among Major League shortstops in assists (462), third in total chances (684) and double plays (105) and fifth in games started at shortstop (151)....Wore a No. 9 "Minoso" jersey for the White Sox home opener on 4/10 vs. MIN to honor his longtime friend and White Sox legend Minnie Minoso, who passed away on 3/1....Recorded his 200th career double on 4/30 at MIN....Hit safely in 11-straight games from 5/6-17, hitting .349 (15-for-43) in that span....Hit his first home run of the season and 100th of his career on 5/9 vs. CIN, in game one of the doubleheader… joined Ray Durham and Minoso as the only players in White Sox franchise history with 100-or-more home runs and 100-or-more stolen bases....On 9/15 vs. OAK, he pitched the ninth inning, allowing one hit and one hit-by-pitch in his first career pitching performance. American League Leaders:T10th in doubles (35)...AL Leaders (As SS): 1st in DP (119); T3rd in starts (157); 4th in games (158); 6th in IP (1,376.2)...Won his second AL Silver Slugger Award (also 2010) and was a finalist for the Rawlings Gold Glove Award...Is the only White Sox shortstop to win the Silver Slugger and joined Frank Thomas (four), Carlton Fisk (three) and Magglio Ordonez (two) as the only Sox players to win multiple times...He and Jose Abreu became the fourth set of Sox teammates to be named Silver Sluggers in the same season, joining Joe Crede and Jermaine Dye (2006), Ordonez and Thomas (2000) and Thomas and Julio Franco (2004)...Was named to his first AL All-Star Team in his seventh season with Chicago (selected by AL players)...Became the first Sox shortstop to be named an All-Star since Ozzie Guillen in 1991...Played in 158 games for the fourth consecutive season, the only player in baseball to appear in at least that many games...His 35 doubles were the sixth-highest total in club history by a shortstop … joined Buck Weaver (1919-20) and Luke Appling (1936-37) as the only shortstops in franchise history to record 30-plus doubles in consecutive seasons (39 in 2013)...Recorded career highs in total bases (254) and extra-base hits (52) … led the Sox in games, at-bats (622), runs scored (82), singles (118), stolen bases (21) and multihit games (51)...Tied for second among AL shortstops with a .978 fielding mark (15 E/696 TC)...Batted .351 (40-114) with seven doubles, four home runs and 19 RBI over 29 games through April … the 40 hits through the end of the month marked the most in franchise history...Hit safely in his first 17 games, the longest season-opening hitting streak in White Sox history … hit .379 (25-66) with four doubles, four home runs, 14 RBI and 13 runs scored during the streak, which tied for the fourth-longest in the AL in 2014...His 21-game hitting streak dating back to 9/24/13 was the longest by a White Sox player since Carlos Lee's franchise record 28 in 2004...Connected on his second home run on 4/10 vs. Cleveland (hit his second home run last season in Game 113 on 8/9)...Stole his 100th career base on 4/11 vs. Cleveland...Hit his second career game-ending home run on 4/13 vs. Cleveland, a two-run shot in the ninth inning off John Axford...Became the first White Sox player to hit a walkoff homer with the team trailing since Alex Rios on 4/24/10 vs. Seattle...Scored the game-ending run in the ninth inning on 4/15 vs. Boston on a Xander Bogaerts error...Singled in the ninth inning on 4/17 vs. Boston to pass Frank Thomas (15 games) for the longest season-opening hitting streak in club history … streak was snapped on 4/19 at Texas, but hit safely in his next six contests (.360, 9-25)...Recorded his 1,000th career hit on 5/5 at the Cubs and matched his career high with four hits on 5/8 vs. the Cubs...Connected on his sixth career grand slam on 5/9 vs. Arizona, matching Joe Crede and Magglio Ordonez for sixth-most in franchise history....Also appeared in his 836th game at shortstop, moving past Chico Carrasquel for fourth in club history...Connected on a two-run homer on 6/27 at Toronto, snapping a 26-game and 106 at-bat stretch without a RBI...Went 1-2 with run a scored in the All-Star Game at Target Field on 8/15 … replaced Derek Jeter at shortstop in the fourth inning of his final Midsummer Classic...Homered in consecutive games on 7/25-26 at Minnesota for the first time in 2014...Recorded a 10-game hitting streak from 7/29-8/7, batting .381 (16-42) with seven doubles, one home run and 10 RBI (five multihit efforts)...Hit his first career leadoff homer on 8/24 at the Yankees … hit his 15th home run on 9/13-1 vs. Minnesota, his most since 2011 (also 15), and his 35th double on 9/23 at Detroit. Spent his sixth season with the White Sox … played in 158 games for the third consecutive season … became the first Sox shortstop since Ozzie Guillen (1985-91) to appear in 135 games or more in five straight seasons … ranked among the American League leaders in doubles (T7th, 39), stolen bases (T9th, 30) and hits (11th, 181) … recorded career highs in at-bats (637), hits, doubles and stolen bases … his six home runs and 48 RBI were career lows … his career-high 22 errors were tied for second in the major leagues among all players (previous high was 20 in 2009 and 2010) … ranked second among AL shortstops with 1,400.2 innings played, trailing only Baltimore's J.J. Hardy (1,417.0) … batted .302 (16-53) with 18 RBI with RISP/two outs … increased his walk total from 16 to 26 and lowered his strikeout mark from 77 to 68 … hit third in the lineup 37 times, batting .273 (41-150) with three homers and 14 RBI … average was .288 (101-372) over 83 games in the No. 2 spot … hit .385 (30-78) with four of his six home runs vs. Minnesota … batted .281 (25-89) with one home run and four RBI in April (entered the season with a .222 mark over 103 career games in April) … owned an eight-game hitting streak from 4/5-13, batting .333 (10-30) with four doubles and three runs scored … recorded consecutive three-hit games on 5/12 at Los Angeles-AL and 5/13 at Minnesota … batted .395 (17-43) with four RBI in 10 games from 5/12-21 … connected on a go-ahead two-run single in the seventh inning on 5/12 vs. the Angels (Chris Sale threw a one-hit shutout) … matched his career high with four hits on 6/20 at Minnesota … hit safely in seven consecutive games from 6/23-7/2 (.353, 12-34) … committed an eighth-inning error on 6/23 at Kansas City, allowing the tying and winning runs to score … hit a game-ending single in the ninth inning on 6/25 vs. the Mets (Sox allowed a game-tying, unearned run in the top of the ninth) … ranked fourth in the AL with 10 doubles in July … was the only player in the majors to play every inning in 2013 before being removed in the seventh inning on 7/5 at Tampa Bay (source: Elias) recorded a nine-game hitting streak from 7/8-20, going 17-44 (.386) with six doubles and six RBI … registered a four-hit game on 7/13-1 at Philadelphia … set a career high with his 21st stolen base on 7/25 vs. Detroit … tied for fourth in the AL with nine doubles in August … compiled a season-high, 11-game hitting streak from 8/4-14, going 20-51 (.392) with two homers and nine RBI … matched his career high with four hits on 8/5 vs. the Yankees … homered in both games of a doubleheader on 8/9 vs. Minnesota … his solo home run in the opener was his first since 4/3 vs. Kansas City, snapping a 451 at-bat drought … homered in consecutive games for the first time since 7/27-28/10 … hit a solo homer and set a career high with his 32nd double on 8/18 at Minnesota … received his first off day of the season on 8/28 vs. Houston … went 4-4 with a home run and three RBI on 9/16 vs. Minnesota … recorded three multihit efforts over his final four games. Matched his career high with 158 games played (also 2011) ... hit a career-low nine home runs but collected 73 RBIs, the second-highest total of his career (77 in 2008) ... his 73 RBIs led all American League shortstops and tied for second in the Major Leagues ... became the first White Sox shortstop to appear in 135 games or more in four consecutive seasons since Ozzie Guillen (1985-91) ... committed 12 errors, the second-fewest of his career (11 in 2008), and down from 16 in 2011 ... tied for fourth in the AL with a .982 fielding percentage (673 TC) ... stole a career-high 20 bases ... hit .285 (84-295) with six homers and 41 RBIs at U.S. Cellular Field and .245 (73-298) with three homers and 32 RBIs on the road ... batted .336 (48-143) with RISP, the 11th-highest mark in the AL ... was 21-62 (.339) with 24 RBIs with RISP/two outs ... hit .228 (45-197) with one homer and 24 RBIs from April-May, .301 (87-289) with seven home runs and 38 RBIs from June-August and .234 (25-107) with one homer and 11 RBIs from September-end of the season ... connected on one home run over his first 74 games ... hit six of his nine home runs between 7/24-8/24 ... batted .312 (73-234) with four homers and 32 RBIs in 65 games from the No. 8 position in the lineup ... went 12-26 (.462) vs. Baltimore and 11-33 (.333) vs. Texas ... collected his first multi-RBI game of the season on 4/25 at Oakland ... posted a season-high three hits on 5/9 at Cleveland ... collected four multihit games and three multi-RBI games over a five-game span from 5/26-30 ... hit a game-winning, RBI single in the eighth inning on 6/1 vs. Seattle ... matched a career high with four hits (eighth time) and a season high with three RBIs on 6/29 at New York-AL ... compiled a season-high, nine-game hitting streak from 7/3-15 (.410, 16-39) ... hit a game-winning, two-run home run in the eighth inning on 8/20 vs. the Yankees ... went 7-13 (.538) with four RBIs during a four-game series at Baltimore from 8/27-30 ... hit .333 (10-30) with a homer and four RBIs during a nine-game hitting streak from 9/2-11 ... recorded just two multihit efforts and eight RBIs over his final 24 games. Established career highs in doubles (31), walks (51), gamesplayed (158) and at-bats (614) in his fourth season with the White Sox...also set career highs in hit by pitches (6) and sacrifice hits (8) and tied hiscareer best with 165 hits...ranked among the American League shortstopleaders in hits (t1st), doubles (3rd), home runs (4th, 15) and RBI (4th, 70)...became the first White Sox shortstop to appear in 135 games or morein three consecutive seasons since Ozzie Guillen (1985-91)...tied for theteam lead in games played, doubles and multihit games (47)...compileda .977 (16 e/690 tc) fielding percentage at short, fifth-best in the AL...batted .301 (41-136) over his final 35 games...did not commit an errorin his last 24 contests...grounded into a career-high 19 double plays...went 6-14 (.429) with the bases loaded...made 100 starts from the No. 2position in the batting order, hitting .294 (118-401)...hit .221 (47-213) fromthe remaining spots in the lineup...hit into a triple play on 4/3 at Cleveland,the first by a Sox player since 1978...recorded his first career multihomergame on 4/12 vs. Oakland, including his first game-ending home run...became the first shortstop in franchise history to post a multihomer effortwith a game-ending homer...hit three home runs in April, compared to twoin his previous three Aprils combined...hit .313 (36-115) with 14 doublesand 20 RBI in May...the 14 doubles led the Major Leagues and tied MagglioOrdonez (6/02) and Paul Konerko (8/01) for the second-highest monthlytotal by a Sox player since 1954...the 20 RBI were his most since August2008 (monthly best 22)...matched his career highs in hits and RBI on 5/22vs. the Dodgers, going 4-5 with two doubles, a home run and five RBI...was named AL Player of the Week for 5/16-22, going 10-24 (.417) with sixdoubles, one homer and nine RBI...tied his career high with four hits on5/31 at Boston...recorded the game-ending single on 7/9 vs. Minnesota...received his first career ejection on8/19 vs. Texas (arguing balls and strikes)...recorded four consecutive multihit games from 9/14-17. Received his first Silver Slugger Award and was named the shortstopon The Sporting News American League All-Star Team after leading allAL shortstops in average (.282), slugging percentage (.431), home runs (18)and total bases (252) and ranking second in RBI (70) ... became the firstshortstop in White Sox history to win a Silver Slugger Award, and joined RafaelPalmeiro (1998-99) as the only two Cuban-born players to accomplishthe feat ... along with Luis Aparicio (1968, '70) and Luke Appling (1936, '40and '43), became the third Sox shortstop to garner the TSN distinction ...established career highs in doubles (29), runs scored (83), games played(156), hits (165) and at-bats (585) ... his 18 home runs were the sixth-mostby a shortstop in club history ... batted .303 (106-350) in his final 91 games,raising his average from .251 to .282 ... compiled a .974 (20 E/768 TC)fielding percentage at shortstop ... his 768 total chances led the AL at thatposition and were the most by a Sox shortstop since Ozzie Guillen in 1989(806) ... struck out a career-high 82 times, up from 66 in 2009 ... recordedfive bunt hits, a career-high seven sacrifice hits and 22 infield hits ... batted.351 (33-94) in July, eighth-highest in the AL ... hit .352 (25-71) with eightdoubles, three home runs and 12 RBI vs. Minnesota ... tied his career highwith five RBI on 5/21 vs. Florida ... started 32 consecutive games at shortfrom 5/25-6/29 ... went 4-5 with a double, two RBI and three runs scored on8/3-1 at Detroit, matching his career high (fifth time) ... recorded a careerhigh,15-game hitting streak from 8/6-21-2 (.328, 21-64) ... reached basesafely in his final 13 games. Hit .277 (150-542) with 14 doubles, 15 home runs and 68 RBI in his second season with the White Sox...his 15 homers marked the seventh highesttotal by a shortstop in club history...increased his walk total from 18 in 2008 to 49 in 2009...tied for sixth in the American League with six sacrifice flies...ranked second in the AL with a .370 (47-127) average vs. left-handers (.248 vs. righties)...10 of his 15 home runs came off righthanders and six came after the sixth inning...compiled a .969 (20 e/650 TC) fielding percentage at shortstop (spent 2008 at second base) ... batted .342 (25-73) with seven home runs and 15 RBI during interleague play...tied for third in the AL in interleague home runs and tied for seventh in RBI...started at shortstop on Opening Day vs. Kansas City (started 2008 Opening Day in center field)...ended a season-opening 0-14 slump by going 2-4 with two RBI on 4/11 vs. Minnesota...hit his fifth grand slam on 4/25 vs. Toronto and finished with a career-best five RBI...became the second-fastest player to reach five grand slams in major-league history (152 games), trailing only Rudy York (139 games from 1934, '37-38)...matched his career high with four hits on 5/25 at Angels...became the first Sox player with four hits in the first four innings since Sherm Lollar on 6/26/60-2 vs. Boston (Elias Sports Bureau)...drew a career-high three walks on 5/26 at angels...went 4-5 with a double, home run and four RBI on 6/20 at Cincinnati...hit seven home runs in June, tied for the seventh-most in the league...missed 7/2-3 at Kansas City with a bruised right middle finger...recorded the final assist in Mark Buehrle's perfect game on 7/23 vs. Tampa Bay...left game on 7/29 with a sprained right ankle and missed the next seven contests...hit a go-ahead, three-run home run off David Aardsma on 8/11 at Seattle, erasing a 1-0 deficit in the ninth inning...clubbed a 10th-inning, game-winning solo home run on 8/14 at Oakland. Finished second in the american league rookie of the yearballoting (59 points) after hitting .290 (139-480) with 22 doubles, 21 homeruns and 77 RBI ... the second-place fi nish was the highest by a White Soxplayer since right-handed pitcher Shingo takatsu was second in 2004 andthe highest by a Sox infi elder since Ozzie Guillen won the award in 1985... the fi nish also marked the best by a Cuban-born player since TampaBay's rolando arrojo also was second in 1998 ... named to the topps'Major league rookie all-Star team ... set a major-league rookie recordwith four grand slams, also tying the club mark (albert Belle in 1997) ...led the AL in grand slams and fi nished fi fth with a .380 average with runnersin scoring position ... his 21 home runs as a rookie second basemanwere a club record and the third-highest total in major-league history ...total also was the seventh-most in Sox history by a rookie ... his .290average was the highest by a Sox rookie since Chris Singleton in 1999(.300) ... was named the al rookie of the Month for august after hitting.308 with six home runs and 22 rBi ... hit .312 (43-138) with six homeruns vs. left-handers and .281 (96-342) with 15 homers vs. righties ... 12of his home runs came with men on base and 11 came after the seventhinning, tied for sixth-most in the al ... made 117 starts at second base,six in center fi eld and two at shortstop ... compiled a .981 (11 E/575 TC)fi elding percentage at second base ... hit .300 or better in three straightmonths (.355 in June, .341 in July and .308 in august) ... made his majorleaguedebut on Opening Day at Cleveland, going 0-4 with three strikeoutsas the starting center fi elder ... collected his fi rst hit on 4/2 at Cleveland(single off Jorge Julio) ... recorded his fi rst RBI on 4/24 vs. the Yankees(double) ... led off and played shortstop on 5/8 vs. Minnesota, both careerfi rsts ... hit his fi rst home run on 5/16 at San Francisco, a two-run shot offJonathan Sanchez in a 2-0 win ... missed game on 6/27 vs. the Cubs tobe at the birth of his third child, alexi ... doubled and homered one dayafter the birth of his son on 6/28 vs. the Cubs ... collected a career-highfour hits on 7/8 at Kansas City ... hit his fi rst grand slam on 7/22 vs. Texas... homered on 8/14 vs. Kansas City, one of a major-league record-tyingfour consecutive home runs in the sixth inning by the Sox (also Jim Thome,Paul Konerko and Juan uribe) ... hit his second grand slam on 8/17 atOakland ... homered and drove in four runs in back-to-back games on8/17 and 8/18 vs. Seattle ... totaled four home runs and 14 RBI in fi ve games from 8/17-21 ... set a Sox rookierecord for home runs (15) as a second baseman on 8/22 vs. Tampa Bay (totals as 2B only) ... delivered hisfi rst game-ending hit on 8/24 vs. Tampa Bay, a single in the 10th inning ... matched his career high with fourhits on 8/25 at Baltimore ... reached base safely in 19 straight games from 8/5-25, including a season-best11-game hit streak from 8/14-25 (.370, 17-46) ... hit his third grand slam on 9/19 at Kansas city, tying a majorleaguerookie record and broke Shane Spencer's mark on 9/29 vs. Detroit with his fourth slam ... the grandslam off Detroit's Gary Glover snapped a 2-2 tie and forced a one-game playoff vs. Minnesota the followingday ... donated his bat used in the record-tying four straight home runs to the national Baseball Hall of Fame. Played his seventh season with Pinar del Rio in the Cuban League ... batted .335 (114-340) with 20 homeruns, 68 RBI and 65 runs scored in 89 games ... led the league in average and home runs ... set career highs inhome runs, RBI and slugging percentage (.574) and tied his career best with 48 walks ... walked more than he struckout (37) for the third straight season ... was 11-23 (.478) with two doubles, one triple, three home runs and six RBIin five playoff games ... was the starting second baseman for the Cuba at the Pan American Games in Rio de Janeiro... played in five games with Escogido in the Dominican Winter League, going 1-14 (.071). Batted above .300 for the fifth consecutive season with a .323 average for Pinar del Rio ... recorded morethan twice as many walks as strikeouts (48 BB/23 SO) ... 48 walks tied his career high ... played center field for Cubain the inaugural World Baseball Classic, going 6-16 (.375) with two doubles and two RBI as his team advanced tothe championship game before losing to Japan ... hit .250 (8-32) in the Americas Olympic Qualifying Tournament... Cuba finished second (8-1) to the United States and secured an automatic bid to the 2008 Olympic Games. Hit .341 (115-337) in 84 games, the second-highest average of his career ... ranked fourth in the leaguein hits ... walked 32 times, compared to 31 strikeouts ... reached double figures in home runs for the third straightseason ... went 4-15 (.267) in four postseason games with Pinar del Rio. Hit a career-low .308 (113-367) as Pinar del Rio won its second straight CL title ... tied his career best with89 games played and five triples ... batted .424 (14-33) with five doubles, one triple, one home run, eight RBI, sevenruns scored and eight walks in nine playoff games ... played for Cuba in the 2004 Olympics in Athens. Batted .340 (131-385) with 25 doubles, five triples, 12 home runs, 63 RBI and 75 runs scored for the CLchampions ... set career highs in games played (89), at-bats, runs scored, hits, doubles, total bases (202) and stolenbases (nine) ... played in 10 postseason games, hitting .316 (12-38) with one home run, six RBI and nine runs scored. Hit a career-high .342 (90-263) with five home runs and 40 RBI in 64 games ... also hit five triples. Made his debut in the CL, going 8-19 (.421) in 17 games. Alexei Ramirez singles on a soft ground ball to pitcher Martin Perez. Richie Shaffer to 3rd. August 16, 2018 Diablos Rojos del Mexico released SS Alexei Ramirez. March 22, 2018 Diablos Rojos del Mexico signed free agent SS Alexei Ramirez. November 3, 2016 SS Alexei Ramirez elected free agency. 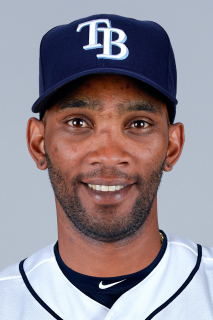 September 8, 2016 Tampa Bay Rays signed free agent SS Alexei Ramirez. September 4, 2016 San Diego Padres released SS Alexei Ramirez. January 22, 2016 San Diego Padres signed free agent SS Alexei Ramirez. November 4, 2015 SS Alexei Ramirez elected free agency.